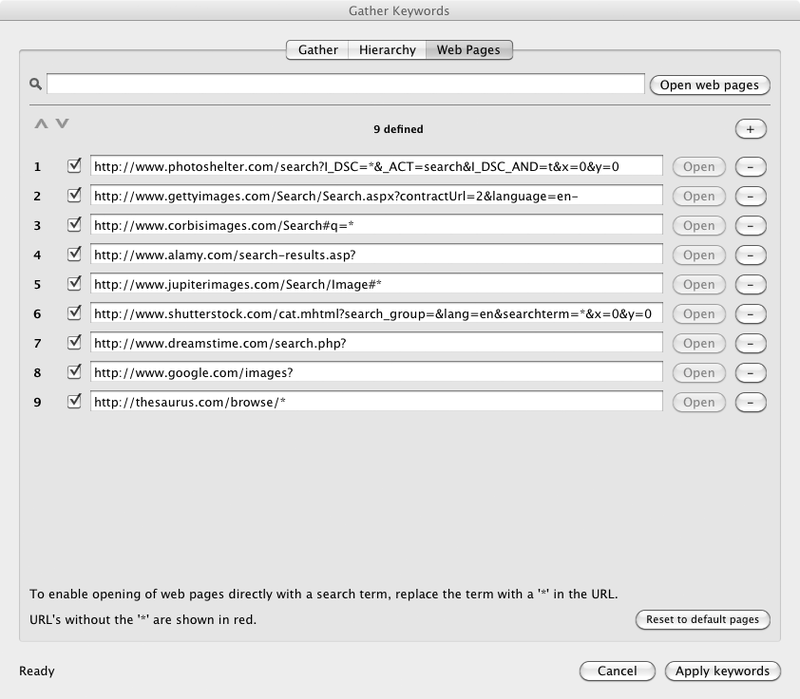 The pages tab allows you to maintain a list of web pages that you like to use to search for new keywords. You can add a web page by clicking the "+" button and then entering the page's address into the new field. This will ensure that your page gets opened when you press the "Open web pages" button. The address at the top of the web browser should now contain your search term somewhere within it. Replace this term by an asterisk (a '*'). Note that there are a few web sites which don't put the search term in the address - unfortunately you won't be able to use Keyword Master to open these pages directly at a search.